Sightings of the Northern Lights excited nature photographers and sparked a flurry of posts to social media Tuesday night and very early Wednesday morning. 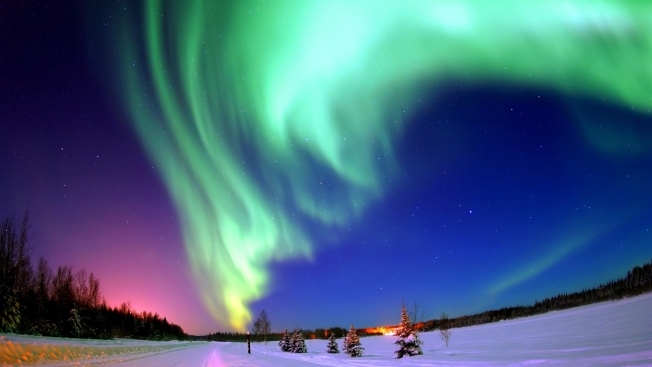 According to the Vermont-based website Northern Lights Now, a particularly active geomagnetic storm made for impressive sightings from Europe to Ohio. "It’s still awesome, every time you see it," said Dan Russell of Colchester, Vermont, an experienced aurora borealis chaser. Around 1 a.m. Wednesday, Russell took time-lapse video that showed pillars of bold colors dancing overhead. The displays are created when highly-energized particles from solar storms make gases in the upper atmosphere glow. "It takes a little time for your eyes to adjust, but once they do, it’s just impressive to see the light shimmering and moving across the sky," Russell said of the experience of witnessing the Northern Lights. "It’s such a great thing to see," added Russell’s friend, Charles Baldridge. 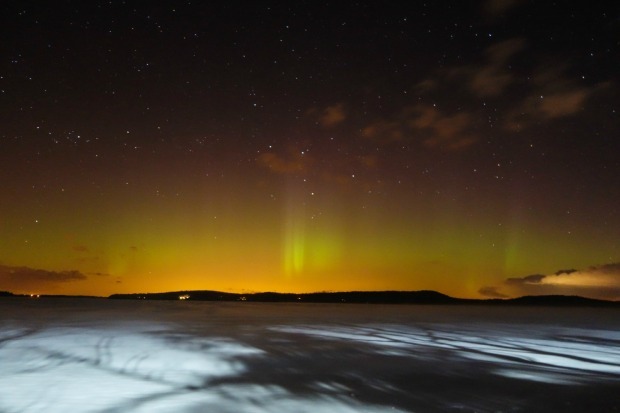 Baldridge and Russell braved cold, wind, and even a snow squall late Tuesday night and early Wednesday morning to experience the natural fireworks in the sky above Lake Champlain in Colchester. "This was definitely one of the top 20 storms that will probably happen in your life," said Baldridge, describing the Tuesday night and Wednesday morning occurrences. The buddies run the site Northern Lights Now, and the associated Twitter feed, @NorthLightAlert, spreading knowledge of the science behind the shows. They told New England Cable News that Vermont is known as a pretty good spot to glimpse the phenomena, because of its northern location and its dark skies: there are few big buildings illuminating the horizon and contributing to "light pollution." Brian Drourr, another nature photographer and aurora chaser, snapped photos of the natural fireworks Tuesday night above Lake Champlain from Milton, Vermont. "Every one of them is amazing and awe-inspiring and makes me want to go out and see another one," Drourr said of his trips outside to see the shows. The aurora chasers NECN spoke to said it’s that rarity—that element of the unknown—that has them keeping their eyes on the skies.